Radar and ARPA Manual has been planned not only as a comprehensive practical reference for mariners on board ship and managers ashore, but also to provide all essential information for candidates following ENS, radar observer and professional certificate courses. Recent years have seen significant changes in the design of basic radar systems: ARPA features are now almost entirely integrated with the radar display. This new manual covers the complete radar/ARPA installation, bringing together a body of practical information on equipment and techniques which will both serve the observer using traditional systems and provide reliable guidance for the use of newer equipment. The recent changes in radar displays that are likely to be of greatest significance to the observer are the developments in signal processing and the advent of raster-scan displays; these receive exhaustive treatment. The effects of changes in shipboard operations, such as false echoes from containers, are also dealt with. Throughout the book the operational significance of the IMO Performance Standards is stressed, as is the role of radar and ARPA in navigation and collision avoidance. 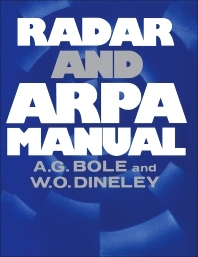 Basic radar principles; The radar system - operational principles; Target detection; Automatic radar plotting aids (ARPA); ARPA - additional facilities; The radar system - operational controls; Radar plotting; Navigation techniques using radar and ARPA; ARPA - accuracy and errors; Extracts from official publications. After 10 years at sea, Alan Bole qualified as Extra Master Mariner. In 1965, he was appointed Lecturer in Charge of the Radar School at the Liverpool Regional College of Technology. In 1973, Alan was appointed Principal Lecturer in Radar Simulation at the now Liverpool Polytechnic, and in 1979 he was elected a Fellow of the Royal Institute of Navigation and a Fellow of the Nautical Institute. Since his retirement in 1988, Alan has been focussing on consultancies pertaining to Radar, Navigation and Simulation Worldwide. He also supervises degrees to PhD level through Liverpool John Moore’s University. He is a Royal Yachting Association Yachtmaster and Examiner to all levels including ‘Ocean’, and a Co-author of a number of nautical books and publications. Dr. Alan Wall worked for 14years as a deck officer on oil tankers with Mobil Shipping Company before completing a PhD in Operational Research at Lancaster University. He then joined Liverpool John Moores University as a nautical lecturer and is now Subject Head with responsibility for marine professional training at LJMU. For 20 years, he has been extensively involved in most aspects of the training and education of seafarers including the provision and training of seafarers using of marine bridge simulators and ship radar equipment. 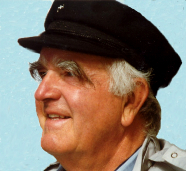 His research and consultancy has involved the use of marine radar and operational research. Subject Head of Maritime & Logistics at Liverpool John Moores University and Co-Director of LOOM (the LJMU marine research institute), UK.